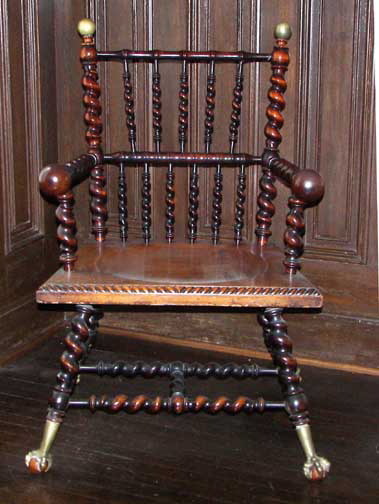 Special thanks to Paul Tucker who documented this chair as one made by the Merklen Brothers, 1882-1897. See his article entitled"Moorish Fretwork Furniture" in the May 2005 issue of The Magazine Antiques where a photo of an identical chair is shown. See the article online - with illustrations omitted, however.